The company had previously charged by the hour since its initial release in 2006. 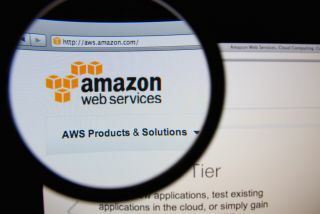 Amazon Web Services (AWS) will soon be altering its pricing strategy to better compete against its rivals Microsoft and Google in the public cloud market. The company announced on Monday that as of October 2nd, it will begin charging customers by the second to utilise its EC2 virtual slices in its data centres. This is a big change in AWS' pricing model as it has charged by the hour since its release in 2006. A year after Alphabet's Google entered the public cloud market, it announced that it would begin to charge customers by the minute with a 10-minute minimum. Microsoft's Azure also adopted a similar pricing model shortly after. By charging customers that use its Linux virtual machines by the minute, AWS will give them the ability to only pay for the computing resources they use. There will be a one-minute minimum and certain types of workloads could see companies paying a lot less for cloud services. As demand for public cloud services has increased, AWS is taking the necessary steps to stay one step ahead of its competitors in the space.